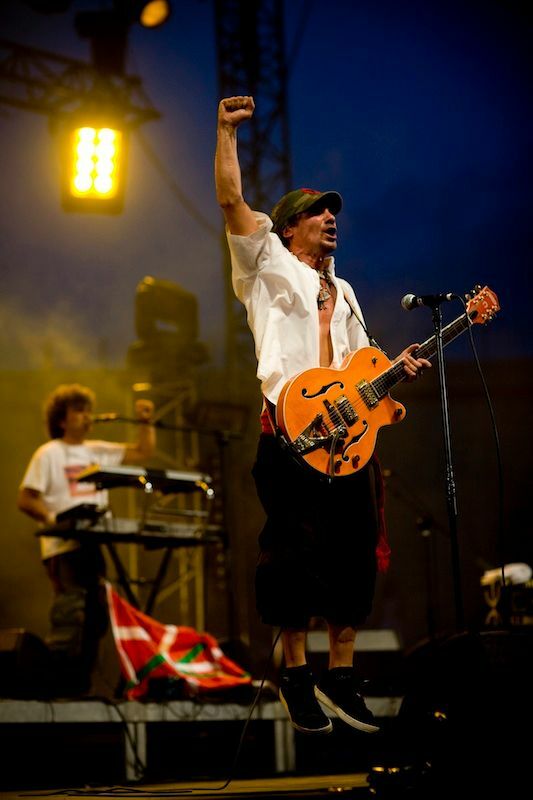 Manu Chao was born to Spanish parents in Paris and has long used his cross-cultural surroundings and background as inspiration for his music. 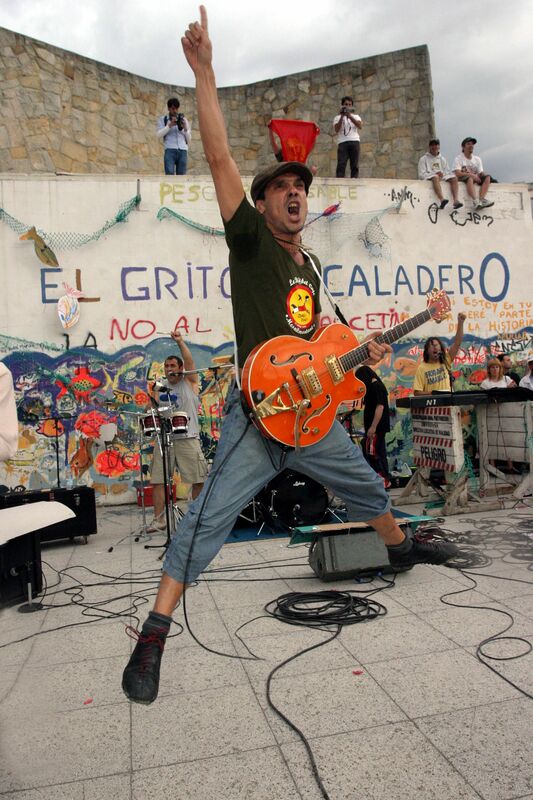 An offspring of the French alternative scene, Manu Chao formed his first major band, Mano Negra, in the mid-1980s. They quickly acquired international acclaim for their innovative albums and explosive live shows. 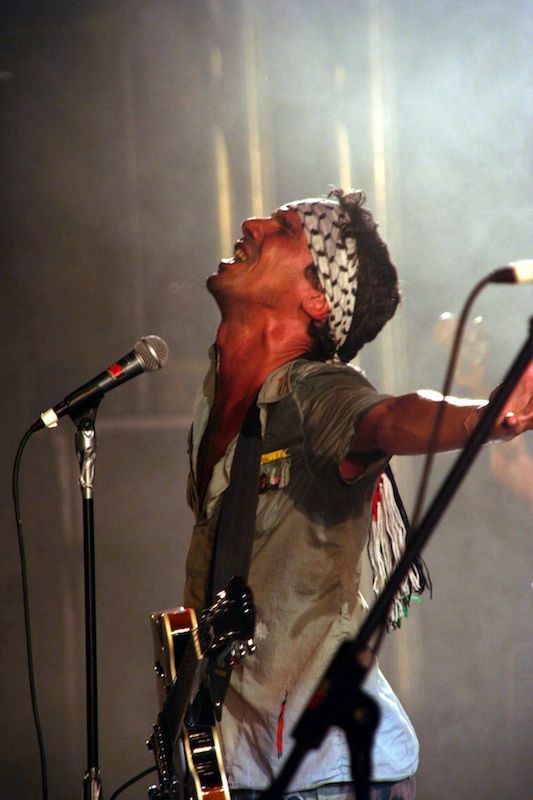 Following the split of Mano Negra in 1995, Manu Chao traveled to Madrid and formed Radio Bemba with local musicians and soon after decided to go solo as Manu Chao. He began collaborating with musicians from diverse backgrounds and sought inspiration from street culture and local bar scenes. The result was his debut solo album, Clandestino. Clandestino, released in 1998, was a highly personal album, recorded with a tiny portable studio in which Manu Chao kept as a type of musical diary of his travels. 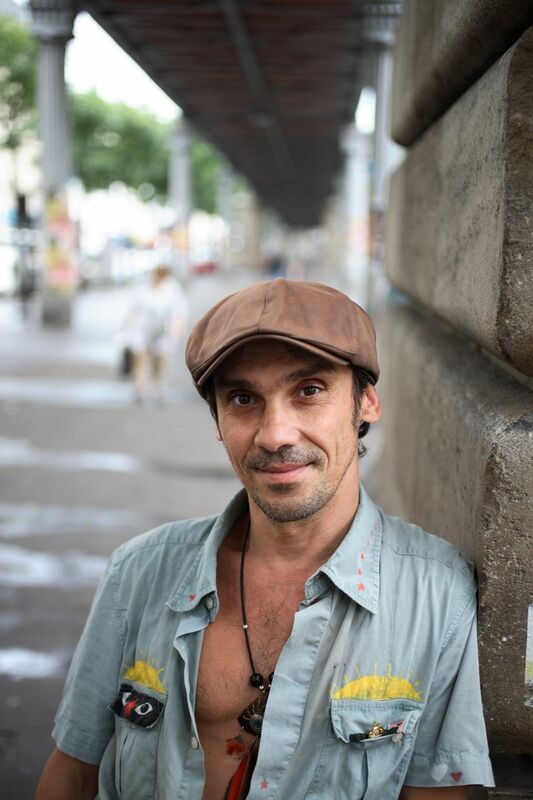 Mixing computer sound effects and street sounds with simple acoustic guitar, Manu Chao created an album with predominantly Spanish lyrics that ultimately produced a strong Latino roots feel. Clandestino became one of France’s top-selling albums and one of the best-selling French albums abroad establishing itself as one of the best-selling albums in French music history with millions of sales worldwide. Chao released a second album, Proxima Estacion: Esperanza, in 2001, and with it once again topped the European charts and received praise from media worldwide. Rolling Stone named Esperanza one of the best albums of the year, and Chao made the front page of the Wall Street Journal. Chao began touring extensively, bringing his unique blend of musical styles and languages to sold-out crowds around the world. In 2002, Chao released Radio Bemba Sound System, a live album that paid tribute to Radio Bemba and documented the unique atmosphere of the band’s tour. Following the Radio Bemba Sound System tour, Chao focused on producing albums for various artists, including Malian duo Amadou & Mariam’s Dimanche à Bamako, which has sold over 600,000 copies worldwide and was voted one of 2005’s best albums by Rolling Stone, MOJO, SPIN, Blender, National Public Radio and many others. Throughout his career, Chao has remained true to his anti-establishment principles and continues to mix music and politics by performing at events that promote anti-globalization efforts. He continues to tour the world playing to sold-out crowds in Cuba, Venezuela, Mexico and Central and South America. In 2006, Chao returned to U.S. soil after five years’ absence for a sold-out a tour of select cities. The shows fueled the anticipation for a new record and a more extensive tour of North America, both of which Chao delivered, to tremendous success, in 2007. In the summer, as he was putting the finishing touches on his first studio album in six years. In 2007, Nacional released that first album in six years, La Radiolina, another musically and ideologically expansive work. The album won him his first career Latin GRAMMY and Billboard Latin Music awards, a #1 spot on several Billboard charts, and widespread critical acclaim, including Time Magazine naming La Radiolina a “Top 10 Album of the Year”. La Radiolina has been certified Gold by the RIAA. The global star’s most recent release is the double live CD/DVD set, Baionarena. The DVD features the concert in its entirety as well as bonus material, including the La Radiolina music videos, exclusive photos and a 30-minute behind-the-scenes video tour diary entitled “Carnet de Voyage.” The diary follows Manu Chao along his adventures across the globe, from Austin City Limits to Glastonbury and Mexico to Russia. The live album was recorded in Bayonne, France; among the concert’s 33 tracks include classics like “Clandestino,” “La Vida Tombola,” “Mala Vida,” “La Primavera” and “Welcome to Tijuana.” Baionarena takes the spirit and success of La Radiolina to an entirely new dimension as explosive energy is shared between the band and thousands of fans. 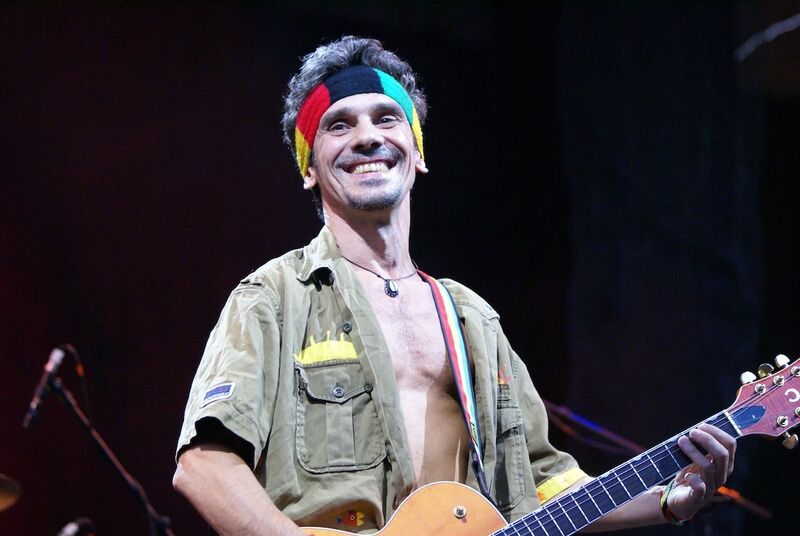 La Radiolina has now sold over a million copies worldwide, taking Manu Chao on a two-year world tour. In that time, he has performed in front of several million people, including an extensive sold-out U.S. tour and more than 100 festival headline dates from Russia to Coachella, Austin City Limits and Bonnaroo. Manu Chao has been on tour for over 20 years, from one country to the other, from town to town, stage to stage. The memories are endless.